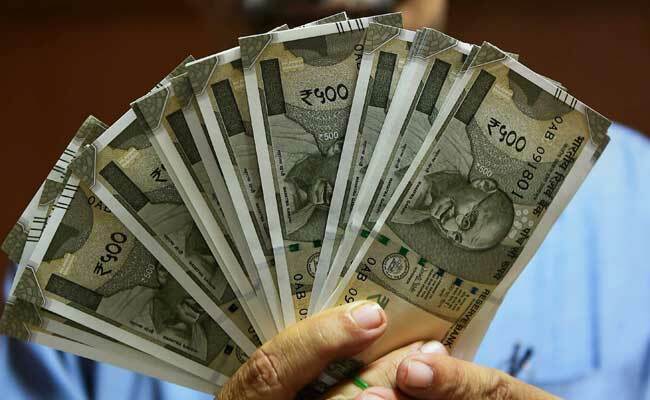 The rupee slipped by six paise to finish at 69.23 against the dollar on Friday, largely owing to increasing demand for the greenback from importers. Forex traders said strengthening of the dollar against key currencies overseas also kept the rupee under pressure, though persistent foreign fund inflows restricted the fall. At the Interbank Foreign Exchange (forex) market, the domestic unit opened at 69.11. It moved in a range of 69.33 to 69.05 before settling at 69.23 for the day. The rupee had plunged by 76 paise Thursday to close at 69.17 after the Reserve Bank of India cut the key interest rate but kept its monetary policy stance ‘neutral’. For the week, the rupee lost 9 paise against the greenback. This marked the second consecutive week of loss for the rupee. The dollar index, which gauges the greenback’s strength against a basket of six currencies, inched up 0.01 per cent to 97.31. Brent crude futures, the global benchmark for oil prices, were trading 0.37 per cent lower at $69.14 per barrel. Foreign institutional investors (FIIs) remained net buyers in the capital markets, putting in Rs.797.90 crore Friday, according to provisional data. The 30-share BSE Sensex climbed 177.51 points, or 0.49 per cent, to close at 38,862.23, while the broader NSE Nifty rose 67.95 points, or 0.59 per cent, to 11,665.95.